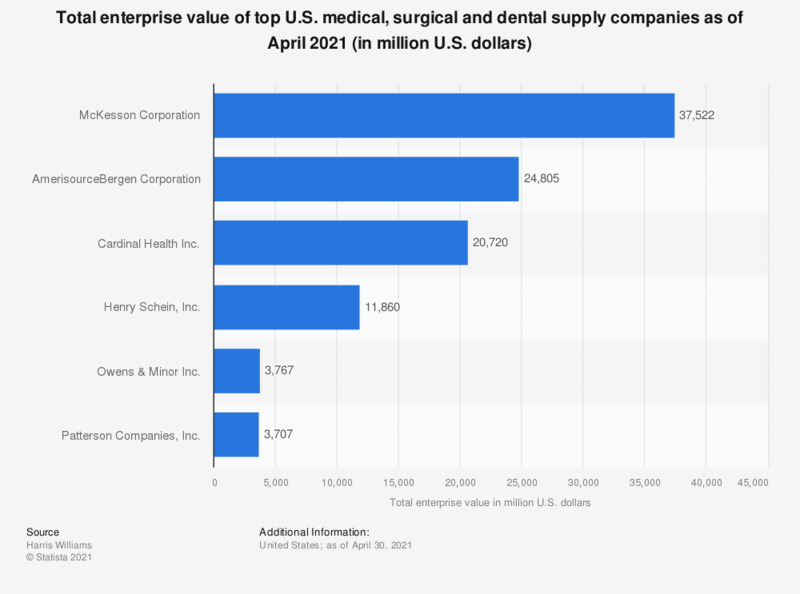 This statistic displays the total enterprise value of top medical, surgical, or dental supply companies in the United States as of January 31, 2019. At this time, Cardinal Health Inc. was reported to have some 22.2 billion U.S. dollars in total enterprise value. TEV = total enterprise value. Everything On "Cardinal Health" in One Document: Edited and Divided into Handy Chapters. Including Detailed References.